According to the US Census Bureau, 14 percent of unmarried American citizens are widows or widowers. People may be living longer than ever before, and the average retirement has increased from years to decades since the mid-twentieth century, but plenty of retirees and pre-retirees still become widowed each year. In fact, according to the US Census Bureau, 14 percent of unmarried American citizens are widows or widowers. For seniors whose spouses die in their pre-retirement years, income planning can become far more complex and risky, especially for those who depend on two full-time incomes throughout their working years. And, even when a spouse dies after both parties have quit working, the sudden decreases in Social Security and pension benefits can leave the survivor struggling to cover his or her expenses. To help these clients stay afloat and retain as many of their assets as possible, advisors need to be able to recommend quick, well-planned changes to their retirement strategies. They should also understand the risks of widowhood ahead of time, so they can help couples properly plan for an untimely death. 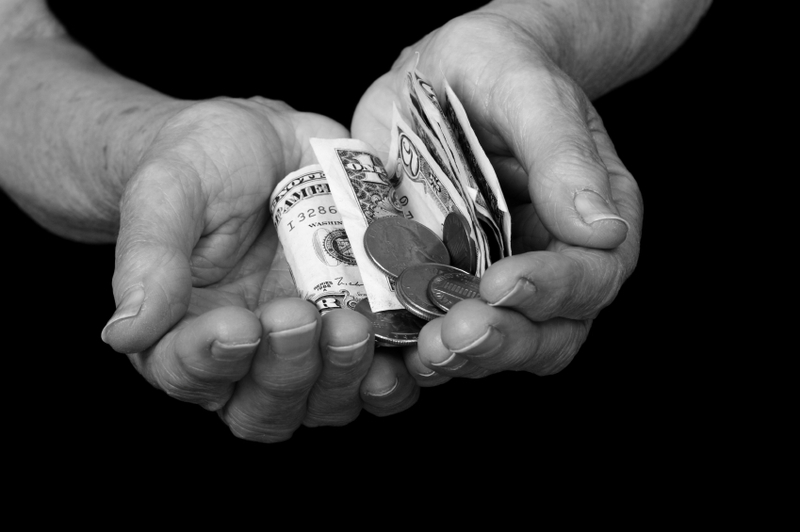 For younger widows who need to keep working, however, collecting so early may be a poor choice. “If you have a client under 62 earning a moderate income, and they have the ability to take their spouse’s benefit, they’re not going to get the full benefit because of Social Security’s limitations on how much you can earn,” said Paul Murray, President of PTM Wealth Management. For those earning greater than $15,720 per year, the Social Security Administration withholds one dollar in benefits for every two dollars in excess of that threshold. If a deceased spouse made considerably more money, and if the survivor can afford to live on job earnings and other assets, the best long-term option may be to delay collection of the spousal benefits until at least 65. For clients with corporate pensions, planning ahead of time is even more important. “If a husband dies prior to collecting a pension, the wife usually just gets spousal benefits at around 50 percent, but they’re stuck with the election they’ve taken once they retire” said Simasko. “If a husband decides to collect 100 percent of his pension, he could die after collecting the first check, and his wife would get nothing.” Whether the pension earner dies before or after retirement, the survivor can rarely change the benefits distribution chosen at the outset. While life insurance policies aren’t usually so set in stone, owners will likewise need to plan far ahead to ensure their survivors will reap the benefits – particularly when working with term life insurance. “Insurance planning from the beginning has to be focused around what’s likely to happen later in life,” said Murray. “When a client dies at 65, and his renewable term policy ended at 64, the spouse realizes no benefits.” In cases where clients’ premiums seem too high, either cutting back on other expenses or finding a more affordable policy can prevent such a disaster. When it comes to minimizing tax liabilities, widowhood – particularly the first few years – presents both challenges and opportunities. “One of the biggest concerns of a recent widow or widower is the sequence of returns,” said Simasko. “It won’t affect your bottom line while you’re still contributing to your retirement accounts, but once you retire, a negative sequence will devastate you early on.” A household’s income often reduces by half or more when one spouse dies, but when expenses remain roughly the same, it becomes even more important to protect those accounts from rapid losses. How can widows and widowers avoid these losses early on? “The first year of widowhood is a great time to pull money out of an inherited IRA,” said Simasko. “If you can increase retirement account distributions in the first year of death, it’s a huge benefit for tax planning. You’ve got a bigger bracket and a hugely decreased income.” Pulling large amounts from an IRA early on also lowers the minimum requirement distributions later on, when the survivor won’t have the advantage of that higher tax bracket. This consideration is particularly important in light of Medicare’s non-inflation-adjusted surcharge brackets, which take into account almost every form of income and include earnings from up two years prior to retirement. The risks and challenges of a sudden drop in income will also make it necessary for most clients to reallocate their money into safer assets. “You need to rethink the typical stock and bond mixes and reallocate to products that protect from downsides – things like annuities that allow you to share in growth but not losses,” said Simasko. He noted that while bankers, stock brokers and others without fiduciary duty are often reluctant to recommend such products, it’s relatively easy to convince clients of their merit.